Oregon local residents Jennifer Fair (King City) and Renee Atkins (Tigard) have started an organization known as operation “Christmas Glory.” This is a non-profit organization that aims to help the country’s troops by sending care packages to them. 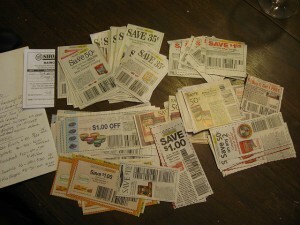 The two women thought of using their coupons to buy hygiene products for the country’s troops. The duo collects their coupons from family members, neighbors and other sources. Items like shampoo, toothpaste, conditioner and dental floss were obtained by the duo for free, with the use of their coupons. Originally, Fair and Atkins gave supplies to homeless shelters in the community. However, when Fair found out that soldiers go without some of these basic items, they changed their mission and focused on the troops. According to Atkins, they are focusing on the troops because the soldiers give protection to all Americans, regardless of whether one supports war or not. The duo began sending boxes every week to the U.S. troops last march. As a response to their efforts, the two women began to receive letters from the soldiers. Most of the letters said that receiving the packages was like getting presents for Christmas. This is how the duo came up with their organization’s name. Since the two started sending care packages, the total number of packages that they have sent has reached 230 boxes since September last year. Fair and Atkins usually send 15 boxes to the troops every week. We are so honored to be featured on your site! Thank you so very much! !